So we arrive one of the hard parts of a caring relationship, stepping back and letting someone grow. Growth requires taking risks, and taking risks requires facing failure. It takes time and intention to prove to colleagues and students they will have support when they take risks. I have been fortunate to have administrators who allowed me to take some big risks in the classroom to improve student learning. 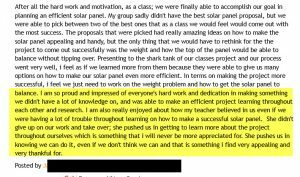 It started with flipped classroom and progressed to a project-based class where students spent the year planning and building solar charging stations for the school. I had no if we could actually build the stations. But we made it, and it was an amazing year. To chronicle the year and share with the public, students maintained blogs. So, I am sharing to help answer how to support risk, and how important it is to do so. Innovator’s Mindset Chapter 3- Do the Pillars of Flipped Learning Support the Innovator’s Mindset? This week I decided to see if the pillars of Flipped Learning could be linked to the characteristics of the Innovator’s Mindset as described in Chapter 3 of The Innovator’s Mindset. I started by choosing something that struck me for each characteristic and then matched that idea with as many of the pillars I could. I had grand plans to show my learning with sketch notes, but in the spirit of Flipping 1.0, I ran into the problem of needing it sooner than later and went with a table. There was at least one pillar for each characteristic. Some characteristics like being empathetic could be found in all of the pillars. I am sure the matches are based on my experiences and others might find different or even more ways to match the two sets of ideas. If you give it a try, please share your thoughts. Empathetic – Teachers evaluate the classroom experience from the point of view of the student. Flexible Environment – Teachers provide different ways to learn and demonstrate mastery. Learning Culture and Intentional Content – Teachers scaffold activities to make them accessible to all students. Professional Educator – Teachers provide meaningful real-time feedback to all students. Problem Finder/Solver – Teachers help students effectively learn how to learn by helping them become good problem solvers and providing opportunities to develop their ability to define the problem. Learning Culture – Teachers provide opportunities for students to engage in meaningful student-centered activities. Risk Taker – Teachers are willing to try new techniques to best reach every learner. Flexible Environment – Teachers continuously monitor students and make adjustments as appropriate. Learning Culture – Teachers employ a learner centered model where students construct meaningful knowledge. Intentional Content – Teachers shift the responsibility for learning to the students and maximize class time for student-centered learning techniques. Professional Educator – Teachers collaborate with others to transform their practice. Networked – Teachers collaborate to learn in different environments, including face to face and online, as well as internal and external to campuses. Professional Educator – Teachers collaborate and reflect with others to transform their practice. Observant – Teachers look beyond the school walls for ideas that can improve their classrooms. Professional Educator – Teachers collaborate and reflect with others to transform their practice. 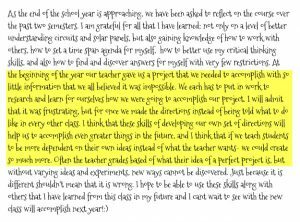 Creators – Teachers encourage creation to help students make connections and really show their learning. Flexible Environment – Teachers create lessons so that students can choose when and where they learn. Intentional Content – Teachers create and curate relevant content for students. 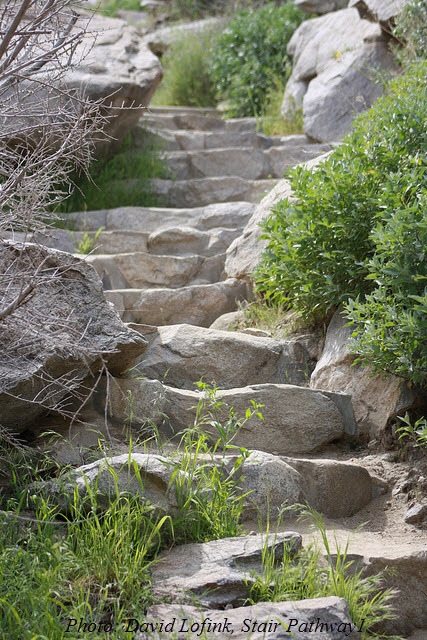 Resilient – Teachers are ready for pushback and failure and learn from those experiences. Professional Educator – Teachers seek to improve instruction using reflection and feedback, including constructive criticism. Reflective – Teachers pause to consider what worked and what didn’t and use those ideas to tweak ideas or create next steps. Professional Educator – Teachers use formative assessments and honest reflection to improve learning opportunities. 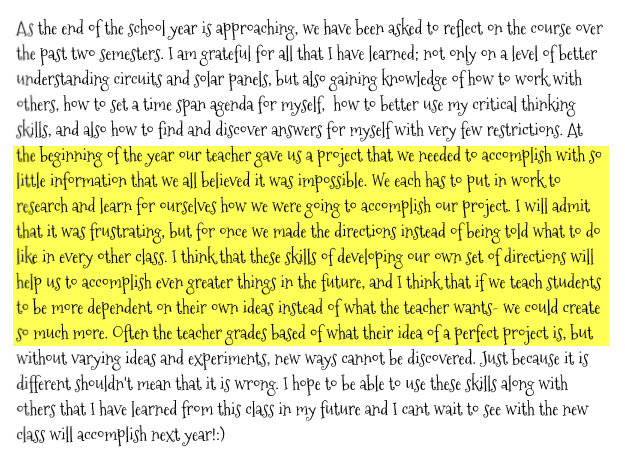 In Chapter 2 of The Innovator’s Mindset, George Couros writes about what it takes to have an innovative mindset as an extension of the popular growth mindset idea. Innovators must do more than believe everyone can learn and change, they must do something with that belief and create something new and better. I am going to share a story that I believe follows that path, then ask you to reflect on your experiences and share one of your own. For a few years I taught a section of sheltered physics for English Language Learners (ELL). Curriculum objectives did not change for these students, so I had to figure out a way to teach what is essentially word problem class to a group of sixteen students who spoke ten different languages, only one being Spanish and four of them spoke no English. You might think that math would save us, but over half of the students struggled with elementary math and relied on a calculator to divide by ten. Together we had to learn to communicate and figure out how to best conquer the material. I had been flipping the classroom for over three years. So I was ready to try some new things during class. Having attended a Flipped Learning Conference over the summer I was full of great ideas. 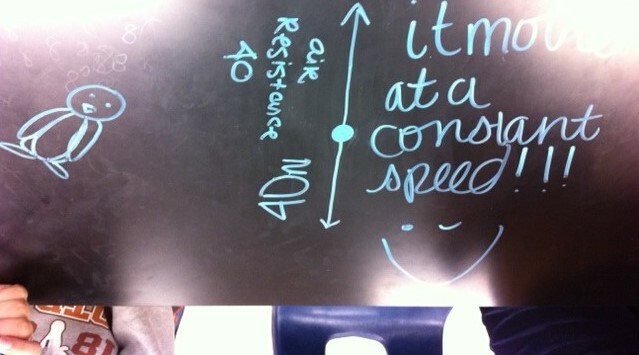 One of those ideas was Peer Instruction, used in college physics by Dr. Eric Mazur (here is an example). I knew ELL students needed to practice communication, and Peer Instruction would give us a framework for that communication while deepening understanding. So one class day, students arrived, I checked notes, went over issues that the lesson check revealed and then I posed a question. I do not remember my well planned and brilliant question, but I do remember the faces of the students as they thought about the question then raised their hands to answer. They marked their initial responses and before they could share out loud, I encouraged them to discuss the question with their group at the table and arrive at a consensus. I was convinced this was going to be amazing. Then it happened, total silence. They stared at each other then at me. I explained the Peer Instruction process again and was met with more silence. You see, with ten different languages, there was not much to talk about. They were having enough trouble figuring things out for themselves. So sadly, I fell back to leading a discussion with nodding heads and some interaction. I really wanted the students to talk about physics. I wanted to hear what they knew and where they needed clarification. I thought this would be the answer. That is not even close to what happened so it was back to the drawing board. After some reflection, I decided to try again, but this time, instead of turning and talking with the table group, they had to illustrate their answer. Using neon markers, they drew their ideas on the table tops. (Students love to write on school furniture.) Then we tra veled from table to table to discuss each of the drawings. I had no idea whether or not this would work, but it did. We could talk about the physics, and I could see exactly where the concepts were confusing them. I was a departure from the original idea of Peer Instruction, but it met the needs of my students at the time and made the class far more interesting for all of us. Simple pictures created by the students created a better classroom where students were trying to talk and learn and made me a better teacher. Even with a sound idea, somethings need a twist to be successful. In the spirit of creating a community of learners please share your successes that required some inspiration, grit or resilience to achieve. Thank you for joining our book study. We are one chapter in and George Couros has already challenged us to think about what is and isn’t innovation. Making a change is not enough and being something new is not required. Innovations, big and small, need to be a change that brings improvement. It is also important to understanding why the innovation is necessary. This provides a push as well as guidance to measure if the change also brings improvement.